Ships tomorrow if you order in the next 20 hours 12 minutes. Dealing with the common cold or the flu can be difficult. It's just as difficult to find relief from the most common symptoms, such as body aches, chills, fever, coughing, and sneezing. Seroyal UNDA offers a homeopathic formula known as Muco Coccinum to help address these symptoms. 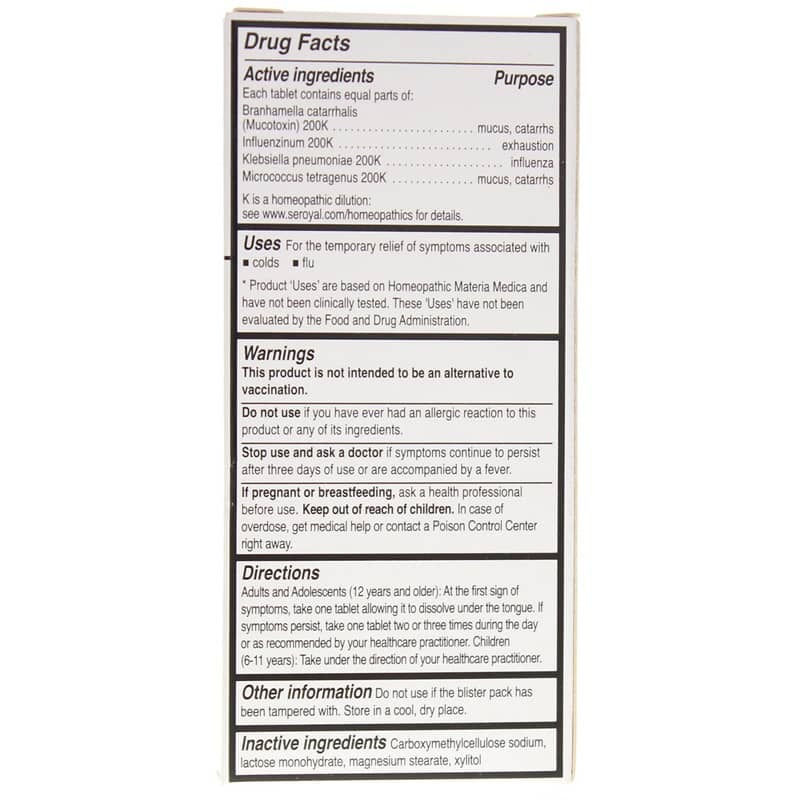 Muco Coccinum from Seroyal UNDA comes in an easy-to-use dissolvable tablet form that should be placed under the tongue and allowed to dissolve entirely. Don't let the common cold or flu interrupt your daily life and keep you from achieving optimal overall health and wellness. 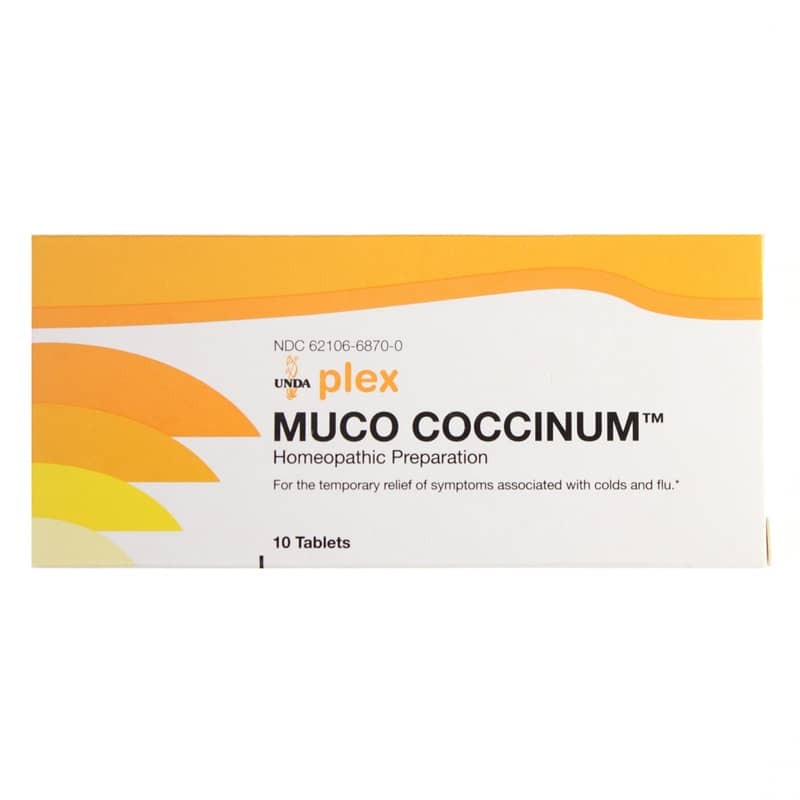 Choose Muco Coccinum today, and see the difference it may be able to make for you. Order now! Other Ingredients: carboxymethylcellulose sodium, lactose monohydrate, magnesium stearate, xylitol. Adults and Adolescents (12 years and older) : At the first sign of symptoms, take one tablet allowing it to dissolve under the tongue. If symptoms persist, take one tablet two or three times during the day. If symptoms continue to persist after three days, discontinue use and seek advice from a healthcare practitioner. Children (6-11 years): Take under the direction of your healthcare practitioner.